: In a recent poll, our workshop was voted highest in customer satisfaction and value for money. We have the latest diagnostic equipment as well as a fully equipped workshop with the best, qualified technicians to take care of your vehicle professionally. Hats off to the team at Brilliant Mechanical Workshop. After 3 visits to the dealership, I gave up and took my car to Brilliant Mechanical Workshop and havent had a problem since. Great service and even better prices. I used to take my BMW to Brilliant Mechanical Workshop and when I bought a new car (a VW GTI), I decided to continue taking my car to them. They are experts in many makes and models and my car is always well looked after. I have peace of mind when taking my car to Brilliant Mechanical Workshop. I dont get ripped off and my car is always running smoothly when it returns. A+ Service, A+ Prices. When my husband and I took our car to Brilliant Mechanical Workshop, they didnt just service the car, they pointed out some potential problems that could have made the car unsafe. When they quoted me for the repairs, I was very pleased at how inexpensive the repairs were. Great, reliable, friendly service. 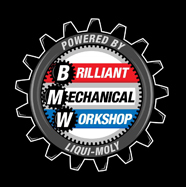 Brilliant Mechanical Workshop - Cape Town's leading Auto Service Center! We offer servicing and repairs to all brands and models – better than the dealers! We service your car according to its manufacturer’s specifications, ensuring that all components & fluids required to be renewed or replaced are done so to the highest standards at very affordable prices. Is your BMW or Mini out of Motorplan? Then why pay exorbitant labour rates and excessive parts prices. As an RMI registered workshop, we are dedicated to ensuring that our facilities contain the best, up to date equipment as well as the most highly qualified technicians available, making sure that your vehicle is treated the way it should be. We are committed to keeping your vehicle on the road, in the best possible condition, at the best possible price, thereby providing you with the best value from your vehicle. No hidden costs, no unwanted costly extras. We provide Value for Money. Servicing and Repairs at an affordable price. Our facilities carry the latest diagnostic equipment, enabling us to rapidly diagnose any faults on your vehicle. Our highly qualified technicians ensure your peace of mind and a job properly done! Our cars are built to last for a long time, however, many factors influence their serviceable lifespan, including the way we drive them. For example, sitting in traffic for hours each day puts extra strain on the car that wouldn’t normally be there under normal driving conditions. Properly servicing your car regularly helps to prevent premature wear & tear, lowers your fuel consumption, ensures your car lasts longer and keeps you safer on the road. Identifying & repairing potential problems before they become expensive disasters is crucial to the health of your vehicle (and your bank balance). As recommended by the manufacturer of your vehicle: Oil change service, major service or minor service, as per the prescribed intervals set by the manufacturer. If your car has condition based servicing, we will ensure that this is correctly adhered to. We have the latest up to date diagnostic equipment enabling us to read any fault codes displayed by your car. Not all faults are displayed on your dash therefore your car could still have faults, we will make sure that all faults are read and accurately diagnosed. Does your car feel “loose” on the road? Do you have a sensation of “floating” while you are driving? Does your car make unpleasant noises when you drive over bumps? It’s time to get your suspension checked. Most modern cars are built with rubber & metal suspension bushes, designed to ensure a comfortable smooth ride. If any of the bushes or your shock absorbers are worn, your car’s road holding and comfort will deteriorate, along with your personal safety! Does your car leak oil or water? Is your engine noisier than it should be or lacking the power it should have? Our motto is prevention rather than cure and regular servicing will help prevent these issues from occurring. That said, if you need any repairs, we will gladly diagnose the issue and repair it for you. Is your clutch slipping? Do you have to press your clutch pedal to the floor to change gears? Do you find it difficult to engage gears? As part of your service, we will check your clutch for wear and tear as well as correct adjustment. Keeping your cars brakes in tip top condition is essential to your safety. We will check your brakes as part of any service. Not sure if your brakes are in good condition? Bring your vehicle in and we will check them free of charge! Poor Fuel Quality & Poor Engine Oil Quality. The quality of our fuels (petrol and diesel) in South Africa ranges from good to very bad, sadly the latter being more predominant. The Octane rating is very often much lower than it should be and the fuel is very often badly contaminated with water and other contaminants. These factors can often lead to expensive problems, including blocked fuel injectors, corroded fuel system components and even a non-running car. Oil is oil right? Not so in South Africa. A wide range of oils are available in South Africa and not all of them are good for your car. Using the cheapest oil is most often a bad, damaging and expensive practice. Poor oil quality leads to excessive internal wear as well as extreme sludge build up inside your engine, preventing proper lubrication of critical engine components leading to engine failure. Using good quality oils is therefore not a luxury but an essential. Rest assured, we will never use inferior quality oils in your car and we will always ensure that your car’s engine is properly flushed out before renewing your engine oil, thereby helping to eliminate the sludging problem. We carry a number of highly acclaimed fuel and oil additives suitable for both Diesel and Petrol engines which provide many extra benefits and cost savings, including improving fuel economy, reducing oil sludge problems, eliminating water from your fuel as well as cleaning your fueling system, all at a very low cost. Please ask us about these when you bring your vehicle in for its next service. We offer servicing & repairs to many makes & models including BMW, Mini, Volkswagen, Toyota, Audi, Mercedes, Opel, Mazda, Kia, Ford, Honda, Chevrolet, Chrysler, Hyundai, Land Rover, Nissan, Peugeot, Renault, Fiat, Volvo & Isuzu. For bookings, please note that our Workshop is in Cape Town. The Mech1 group is in no way affiliated to, or part of BMW AG or any of its dealer networks. All images, text or any other use or depiction of the term BMW is for reference purposes only.